While debunking claims made by International Federation of the Red Cross (IFRC) with regards the Ebola Funds in Sierra Leone, the Anti-Corruption Commission (ACC) has revealed that six (6) foreign exchange transactions were inaccurately reported by the First Bank of Nigeria (FBN) to the Bank of Sierra Leone. The commission stated that the Banking Act of 2011, warrants a cumulative penal fine of Four Billion, Three Hundred and Forty-Five Million Leones (Le4, 345,000,000) on the Bank for its failure to accurately report foreign exchange transactions , but that lax banking supervision made the BSL not to detect or even take any action at all for over three (3) years. 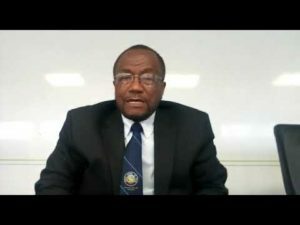 “We have therefore opened Investigations into why the Bank of Sierra Leone failed to identify and penalize this anomaly though they had all the records. We believe, with cogent proof, that forex under-reporting or non-reporting by Commercial Banks as a tool for economic sabotage within the banking sector is systemic and is being done with the connivance and acquiescence of the BSL banking supervisors,” the ACC charges. The International Federation of the Red Cross and the Sierra Leone Red Cross Society (SLRCS) had alleged that certain commercial banks in Sierra Leone colluded with their staff to misappropriate funds meant to fight the Ebola scourge in Sierra Leone. Head of International Federation of Red Crescent Societies (IFRCRS) in Sierra Leone, Paul Jenkins, had in an exclusive interview with Concord Times demanded the repayment of the alleged two million United States Dollars that was stolen by two staff of their international staff, who allegedly colluded with some local banks in the country. According to the ACC, “The perceived fraudulent forex negotiations should fall wholly on the IFRC’s Foreign Finance Delegates who authorized all the transactions. The Commission believes that the financial delegates of the IFRC are very crucial to the investigation based on their dealings with FBN,” the release states. The ACC stated in their release that their findings confirmed that the amount of Twenty-Five Million, One Hundred and Fifty-Five Thousand, Five Hundred and Fifty-Two United States Dollars (USD $25,155,552) was remitted by IFRC to the SLRCS through the First Bank of Nigeria (FBN). “However, contrary to the PWC Report which claimed that some transactions were initiated by FBN without any proper authority to do so, this was not corroborated by our investigations. We were able to establish that ALL transactions appertaining to funds in respect of the Ebola scourge were each initiated by IFRC Foreign Finance Delegates sent to Sierra Leone by IFRC,” the release continues. It further stated that contrary to the assertion made by IFRC on standardized exchange rates, verified and confirmed Bank of Sierra Leone regulations stipulate that Commercial Banks are free to set their own forex exchange rates based on the market forces of demand and supply; and also have the latitude to negotiate exchange rates with their customers on a case-by-case basis (otherwise known as “floating rates”).